The UB Women in STEM Cooperative is proud to debut The Next 10 Years: Helping STEM Students Thrive series, a collaboration between Cornell University and the University at Buffalo featuring the perspectives of national thought leaders and institutional representatives about expanding the participation of women in undergraduate STEM education at different scales. This interactive, online series features a different topic per month. Each session kicks off with an introduction by our distinguished thought leaders followed by institutional representatives from Cornell University and the University at Buffalo who will share insights from their campuses. Participants may join the conversation, ask questions, share experiences, build networks and learn more. 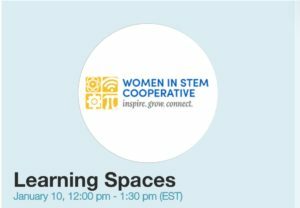 Guest speakers include our very own FLEXspace founder, Lisa Stephens, and FLEXspace partner, Jeanne Narum of the Learning Spaces Collaboratory. Learn more and RSVP for the event here.